Every weekend I try to work on my crumbs/leftovers to make something nice. I've been doing this project for about 10 months so far. Some weekends I spend more time on these projects, but some weekends, I spend less. 1. Made some crumb fabric. This takes longer than it seems like it should. 2. Made 4 star blocks from some of the crumb fabric I had already created. I know have a total of 8 blocks - I need 16. Unfortunately once I got started, I realized that trying to finish up the 16 stars that I need for that round was a bit too ambitious of a project for this weekend. If I had wanted to give most of a day to it, then maybe so, but I didn't want to spend that much time on it. 3. I made 3 more star paper pieced blocks - I now have a total of 8 finished paper pieced blocks. My total made so far. 4. I also made parts of 2 paper pieced star blocks just like the ones picture just above only using the upcycled blues - we'll see where it goes. I made 2 last week as well so I have a total of 4 partially finished blocks. no pics yet - will get them when I finish them up completely. 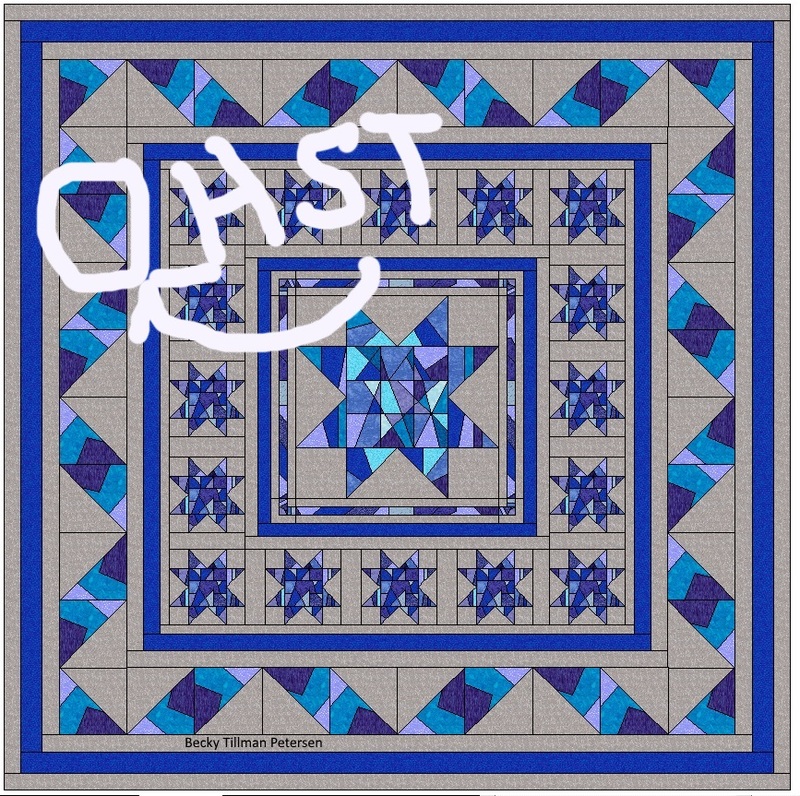 Back to my original plan for my newest crumbs quilt - I had hoped to make all the stars this weekend, but there is no way that I could do it. I also know that making the half square triangles around the edge -it's going to take quite a while to make enough crumb fabric to make those. I hope to make some more this next weekend - but we'll see. It's all a very fluid project. This particular quilt top is number 16 in my upcycled blues project! Don't forget if you need something for your next project, my sis might have what you need! Be sure to check it out!